Abusive head trauma is the leading cause of death from child abuse and the leading cause of death from traumatic brain injury. Identification of clinically important traumatic brain injury is essential. Airway management is a critical part of the management of patients presenting with traumatic brain injury (TBI). 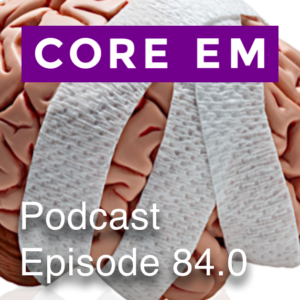 Emergency Physicians (EPs) have no ability to change the primary injury once it has occurred and so our focus is on preventing secondary brain injury.